This page gives links to other groups and organisations connected to the literary life of Swindon. If you have/know of a group that should be here, please let us know. 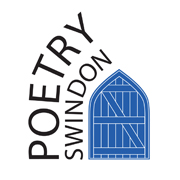 Poetry Swindon aims to advance the enjoyment and development of reading, writing and listening to poetry. Each year we run a programme of poetry readings, open mics, events and workshops. We also publish an anthology of member's work. Swindon Libraries service run a number of reading groups at libraries across Swindon. Groups run at Central Library as well as Highworth, Liden, Moredon and Rodbourne Cheney, North Swindon, Old Town, Park, Pinetrees (Pinehurst), Upper Stratton, West Swindon, and Wroughton. Our activities and courses range from weekend breaks to week-long events, and one-day workshops. There are things for grown-ups, children, and anyone in between. At Lower Shaw Farm we try to do all things well. We like to work and play, make discoveries and make friends, be serious and also have fun. We like wholesome food and enjoy good talk, or music-making and storytelling round the fire in the yard, by the woodstove, or in the Circle Garden. We reckon that today’s stranger is tomorrow’s friend and that life is for learning at Lower Shaw Farm! The Richard Jefferies Museum is set in a beautiful old farmhouse on the edge of Swindon, complete with outhouses, gardens and an orchard, and is dedicated to bringing the wonders of literature, nature and the arts to as many people as possible. This unique old farm was the family home and birthplace of Victorian nature writer Richard Jefferies (1848 and 1887), who was passionate about the place and about the rich natural world that existed in and around it. In his short life (he was 38 when he died of tuberculosis), Jefferies produced a huge array of literary works, including detailed accounts of his beloved countryside; novels; children's books (later illustrated by Winnie-the-Pooh artist E. H Shepard); articles for local and national press; and even post-apocalyptic fiction. The Alfred Williams Heritage Society is an organisation founded in September 2009 to spread knowledge of the late 19th/early 20th century poet, author, historian, linguist, naturalist, folk song collector, philosopher and scholar Alfred Williams, who lived at South Marston, near Swindon, between 1877 and 1930.